Learn from this successful WAHM and create your own success. From helpful articles to creative tips, we have something for everyone! Find Articles for building a better business, Sales and Specials, from fellow WAHMs, Party tips, Fundraisers, Product Reviews, Advertising, WAHM Tips, Recipes, and so much, much more! Take a moment to visit some of our favorite links before you leave. Don't forget to leave your comments and interact with others. Enjoy! Many WAHMs are using a Party Plan. One of the challenges is when to close a party and other deadlines. So often you are either told or tempted to keep a party open for a certain amount of time. Most times this turns into more of a hassle than it is beneficial to you and your hostess. Be clear about your expectations of her party. Make sure she understands her party will close the night of the party. Holding it open in most cases does not allow for more orders. It just lengthens the time her guests can receive their items. Be sure to include plenty of order forms and catalogs in your hostess packet. Your hostess is most excited and motivated prior to the party. Providing her with these gives her an opportunity to start off your party. Offer an incentive to have orders prior to her party. Offer double hostess credits for any outside orders or offer a specific product if she has a certain amount in outside orders prior to the party. I like to use a hostess tic tac toe. It makes it fun and gives a few options for the hostess to earn extra goodies. Coach your hostess. During the first meeting be excited. Provide her with everything she needs to start her party right. Give her a deadline to getting that guest list to you. If you send out the invites you are making it easy for her to enjoy her time and less chance of forgetting that party. Meet or call your hostess weekly leading up to the party. By staying in contact you can be sure she has all she needs and address her questions. You also keep the party on track and all deadlines on target. During the party be clear the party will close that night. Some are afraid to say they have no money or not interested in buying and often ask if they can place an order in a couple days. Explain that for their friend to receive credit they will need to place their order that evening but offer a party date to them which will benefit their friend. When booking other parties to benefit the hostess, place a deadline on when these need to take place. I personally like to use a 60 day window. Many times I use this because you will be inviting some of the same people and do not want to overload them on the products. I don't know how many times I have been invited to the same party every 2 weeks until the cycle was broken. When you overwhelm guests the bookings stop and so do the sales. If you are on constant contact, receive their guest list in a timely manner, and begin to take outside orders, the success of the party is greater. When you have a hostess who is insisting on holding a party open beyond the party date kindly explain you are penalizing the guests who did attend and could cause them to not receive their order as promised. Offer a secondary catalog party if your hostess is adamant about holding that party open. This allows you to process orders for guests getting them their orders in a timely manner, pleasing your hostess in her hopes of getting more orders, and allows you the chance to increase sales. Catalog parties need deadlines and be strict. Open a window of no more than 14 days for a catalog party to be open. I personally use a 7 day window. This is plenty of time for your hostess to share the catalogs and pick up orders. Beyond that it is easy to lose orders, lose checks, or those wanting to order brush it off ending in no orders. Deadlines are not just for your hostess. They are for you as well. Create and stick to deadlines when meeting with a hostess for her hostess packet or to collect outside orders. Sticking to your own rules sets the tone for the entire process. Stick to the rules with family and friends. It is so easy to be relaxed with the rules for family and friends because you want to give them extra just because of who they are. Don't fall for the relaxed attitude. This is still a business and personal business should not be compromised. Give everyone the same deals across the board and you will never have an issue. Do you have tips that work for you? We want to hear about them. Working from home in your pajamas all day sounds like a dream job right? Of course it does! But did you know your appearance can effect your attitude? When you are dressed lazy, you feel lazy, and this can translate into your attitude while you work. You will be less productive. Getting dressed every day for work will put you in the mindset for work regardless if anyone will actually see you. Being dressed for work changes your attitude and you are ready to work. You are more productive and even have a professional tone in your voice when dealing with client calls. Getting dressed for work is fixing your hair, put a little make up on, appropriate shirt (no t-shirt unless it is a logo shirt), pants, and proper shoes. You may say to yourself this is a lot of work just to stay home and work. This is your job we are talking about. If you went to an actual office you would get dressed correct? What makes your home office any different? It all goes back to if you look good you feel good. If you look professional you feel professional. Try it for an entire week and you will notice a difference. The year is nearly half way over and it is time to start those holiday ads. It may sound early but many begin their shopping in July. Get your name out there and show off those products. 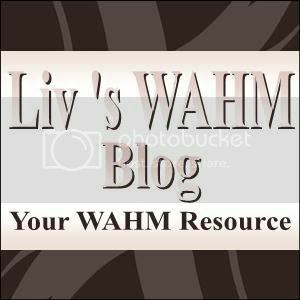 Liv's WAHM Blog is offering a special sale - Buy 1 month get one FREE! $5 you get 2 months! $30 will get you the entire year (regularly $50)! For an additional $10 (can also be purchased separately for $15) you can purchase a WAHM feature on our blog that will be archived for a lifetime! You will get a full dedicated post to you and your business that will also appear free on Networked Blogs and on Facebook. This is recipricol linking you want to gain more exposure for your site. We will send an invoice to you via PayPal (you do not need a PayPal account to send a secure payment through PayPal). 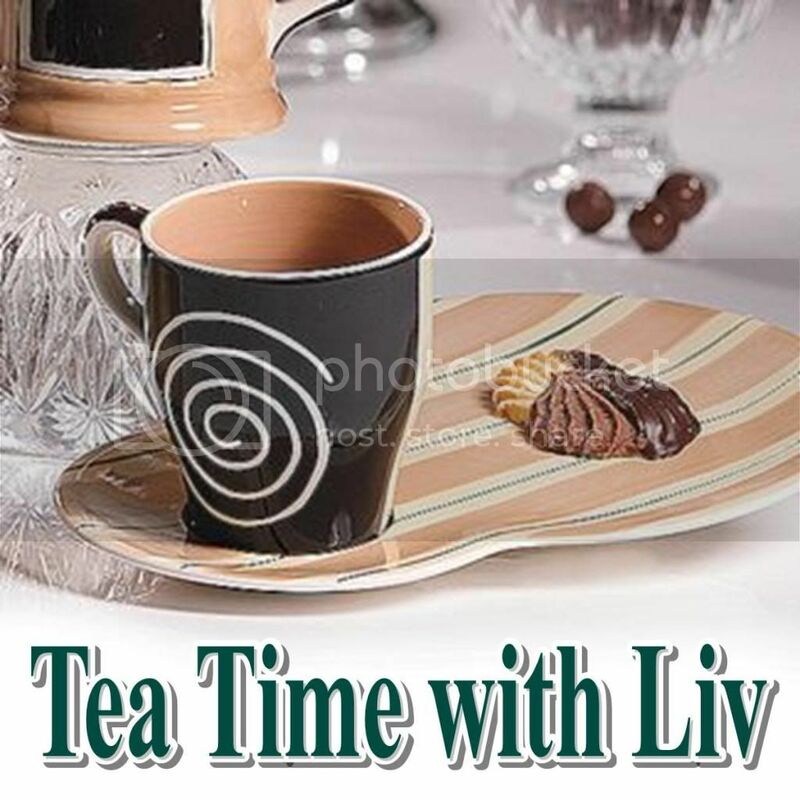 Once your payment has been paid in full your banner will appear here at Liv's WAHM Blog. This sale will not last! Space is limited. Sale ends June 30 or when all ad spaces are filled (which ever comes first). Become a fan and join the discussion. Network with other WAHMs. Brainstorm, share tips and ideas, ask questions, learn how to market your business on Facebook. A filler for business is marketing materials sent to others and usually grouped together in packs. This is a great networking and marketing tool. These are great to hand out at vendor fairs with just your information. A good filler has a business card, brochure or catalog, and a sample or promotional item. These should be neatly put together or attached. Above you see a few ideas for fillers sent in to me recently to be placed inside a tote that will be given out during my local Relay for Life event on June 10, 2011. Some are simple while others are more elaborate. You can join groups such as mompack.com and start your own filler packs. Include them in orders, hand out during customer or hostess meetings, pass out at fairs, or anytime you come across a potential customer. They are fun to receive as a little gift and makes you memorable. Of course when passing out filler packs be sure your own information is included. I like to add my business card to the outside of the pack I give out. I use 6"x9" sealed cellophane envelopes. All fillers I collect must fit within this. I do not collect fillers for the same business or similar business I am in. I also am careful not to place competing reps within the same pack as well. I take in several at once so I can organize them easily and not overlap. I take 1 day a month to create my fillers. Because of this I only collect enough to give out in 1 month. One so I don't have tons and tons of fillers and two I don't have fillers for longer than I need that may have promotions and coupons that will expire before I can pass these out. At this time I only give out about 25 a month. Soon I will be doubling this so I will take more than this in the next few months. Some do not do this and that is ok. Everyone creates theirs how they choose. This is just how I create mine. Filler packs are a lot of fun to assemble and pass out. They have brought me much success and are very appreciated by those receiving them. You are a crafter and everyone says wow you should sell your work and you think yeah I will sell online. There are plenty of free things I can use. This won't cost a dime! Not the case. A business takes money regardless of your budget. Don't cheat your business before it even starts. First thing is first. Get that business name. Keep it short, sweet, and to the point. Keep it relevant to your business. You don't want to use sweet treats when your business is graphic design. You also don't want to use what everyone else is using. Boutique, bowtique, one stop shop, are all common. Using your name or your child's name is over done. Unique spelling look fun but if nobody call spell it, how will they find you? 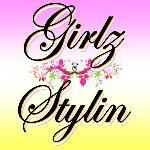 So don't use thins like "Oliviaz Designz". And no long names. They are hard to remember. "Olivia's Jewelry Accessories and Custom Designs" sounds great but will those who don't know you remember this? Even the ones that do know you, will they remember it all when telling friends? Once you choose your name Google it. It's an easy way to see if someone is using it. Nobody using it? Now head over to godaddy.com and check the domain name. If available, buy it. Don't use the excuse I don't have the money. You don't secure it now, someone can come in and taken from under your nose. Now go get an email account with your business name. I like gmail because this is Google based and Google based is great for online exposure. This account should be used for business only. Now go through a few social networks and secure your name such as Twitter and Facebook. These are highly recognizable and anything recognizable is great for your online exposure. Plus you want people to search for you even if you are not an online business yet. Now this is the part people ignore and skip. Doesn't matter how small you are or if you only sell on places like eBay or etsy, you must register your business and get a business license and resellers license or tax id. Check with your county clerk or state to see what you need as state to state and county to county can vary. If you get caught running a business in your state without these, you will get fined and charged with tax evasion. It's not pretty so don't go there. You've jump the hoops and survived the ring of fire so take a deep breath and get that website. It sounds intimidating but really it is not. You can start small with places such as wahmshoppes.com and move up as you need. Stay away from free sites. Not only are they limited but getting in the search engines are a pain, you cheapen your business because visitors wonder why you can't afford proper hosting, and you do not appear to be reputable because its a red flag for fly by night scams. You came this far so don't cheat your business. Don't overlook the exposure and opportunities you have with blogging. Some think that they don't see a benefit to a blog for their business or that it is a right fit for them. Blogs give you the opportunity to go in depth on your products in a way that a website or social networks do not offer. Social networks are for relationship building, websites are for sales, blogs are for information. You have the product, the name, the website. How does anyone know you exist? Design and order those business cards. Pass them out. Give family and friends a stack to pass out for you. Use those business cards every way possible. Marketing is key to your business. Free ads sound good and just posting a link here and there is easy but if nobody knows you are online nobody will even look. Now that you have a few things to get you started with building your business, go out there and get that exposure. Recently I have seen a lot of talk about conducting business on facebook including discussion about promotion guideline changes. It is great to see so many coming together to brainstorm for viable options and clarify the facts. What is not great is the misinformation and blatant misdirection. Everyone is always trying to come up with the best ways to promote and conduct business within social networks (not just Facebook). This can be tricky as there are rules and guidelines that must be followed as written. Not as they are interpreted. DO NOT rely on what others tell you and be sure you are reading the TOS of any site you are using to be clear of what is allowed using their site. Reading the TOS can be long and sometimes confusing but read it for yourself. Just because someone else tells you it is ok does not make it ok. Ultimately you are responsible regardless if everyone else is doing it. Ignoring facts do not make them go away. I have seen a few deliberately ignore the information offered and choosing to continue knowing they are in violation. There are a few who have told their fans to just change their giveaways to product testers and it will exclude them from the rules. A promotion is a promotion no matter what name you give it. If it walks like a duck, quacks like a duck, you can call it a cow but it doesn't make it less of a duck. You can follow the rules or not follow the rules regardless of the situation or place. Even if someone else is not caught it does not mean you won't be caught. Are you willing to lose everything you have gained over a mistake you chose not to investigate the facts about prior? Would you capture it? Or just let it slip?" Submit your information for a product review, link exchange, more information, or just to say Hi. We want to hear from you.